Pork and cabbage dumplings pancake with cheddar cheese crust savory Okonomiyaki sauce bonito flakes, seaweed and pickle radishes. Sliced beef steak, meat balls, pork cracklings in herbal dark veal broth, rice noodles, bean sprouts, broccoli, basils and garlic infused chili oil. Jumbo lump crab meats Thai style omelette with onions & scallions served over rice with sweet chili sauce. 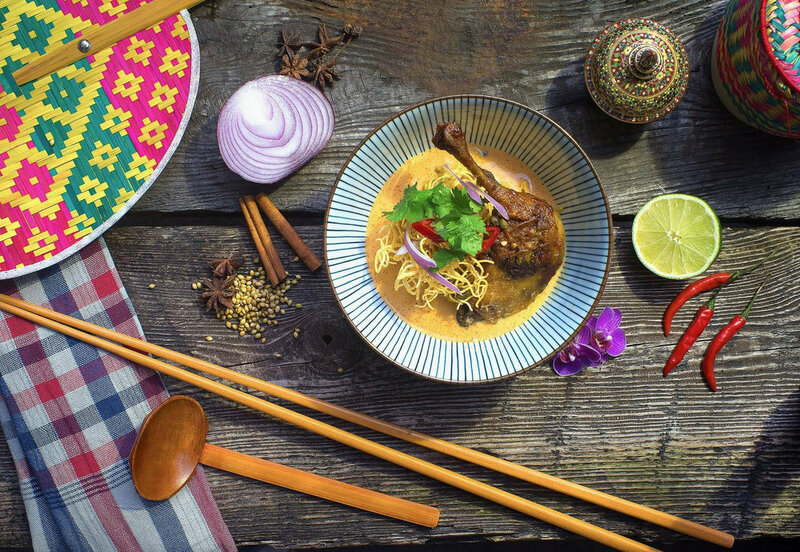 A culinary voyage through Asia. 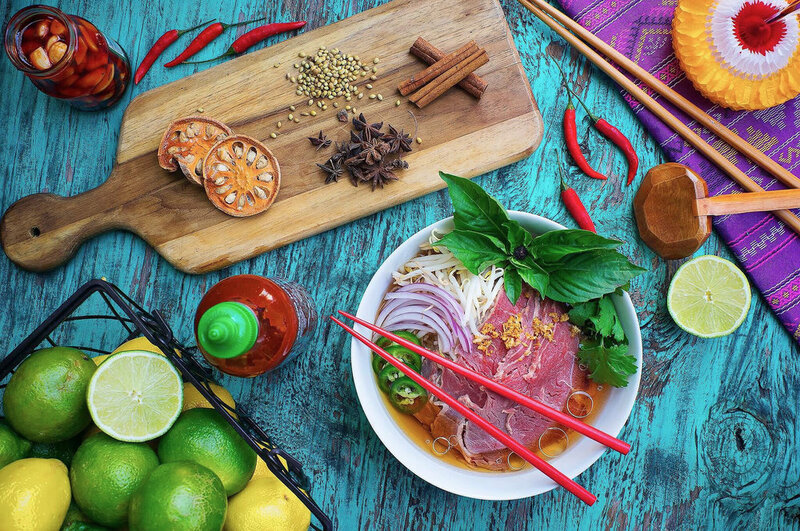 "When I first arrived to New York, I brought with me my traditional Thai family recipes" Chef Bao Bao states. Chef Suchanan Aksornnan, nicknamed Chef Bao Bao, was born in the northernmost province of Thailand - Chiang Rai. There she grew up surrounded by greatness of nature, organic and fresh ingredients, and a wide variety of local foods. "This early exposure to food is one of the biggest reasons why I do what I do today," she continues. After graduating from The French Culinary Institute in NY, Chef Bao Bao began training at L'ecole in NYC. Soon after, she landed her first job at the Mercer Kitchen working with renowned Michelin star chef, Jean Georges. In addition, she also got an amazing opportunity to work with Daniel Boulud at Bar Boulud. Following this, Chef Bao Bao became the lead line cook at Soho House Hotel; she worked as a personal chef assistant for Marc Ecko in NYC and as starch cook at Social Private with Top chef Tiffany Derry. She also cooked as a personal chef for the Princess of Saudi Arabia and many celebrities including, to name a few: Cameron Diaz, Janet Jackson, Lucy Lu, Marc Jacobs. Being asked about some people might think her creation is not "authentic" because her creation is "fusion" one, she answers carefully. "I've been always wondering this, what does authentic mean?" she asks," I spent a lot of time to craft my art without compromising. Food is not about classification; it's about TASTE (laughter). Come to Baoburg and I will prove it!" Then she showed a big smile. 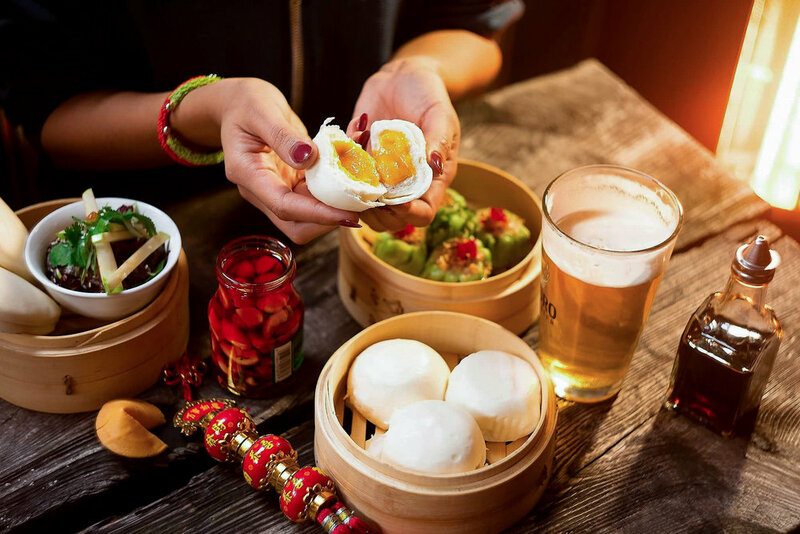 In 2015 Chef Bao Bao was recognized by Zagat as one of "30 Under 30" culinary rising stars in NYC and featured in numerous food & dining publications. She was also one of the contestants in a popular Esquire Network TV show, "Knife Fight". Recently, Thrillist.com recognized her as one of 11 "The Most Badass Female Chefs in New York". Required for parties of 6 or more. Zagat: Best Thing We Ate "Baoburg's Duck Breast Noodle"
With a menu to mirror its cozy size, Baoburg's dinner options are short but incredibly sweet. The roster features a mash-up of Spanish and Asian cuisines, with items like roasted octopus legs and veal stew. Yet sometimes, all you really need is a simple dish to feel content..
Thai native Suchanan “Bao Bao” Aksornnan (Bar Boulud, the Mercer Kitchen) retools French plates with Asian and Spanish flavors at this 20-stool spot. 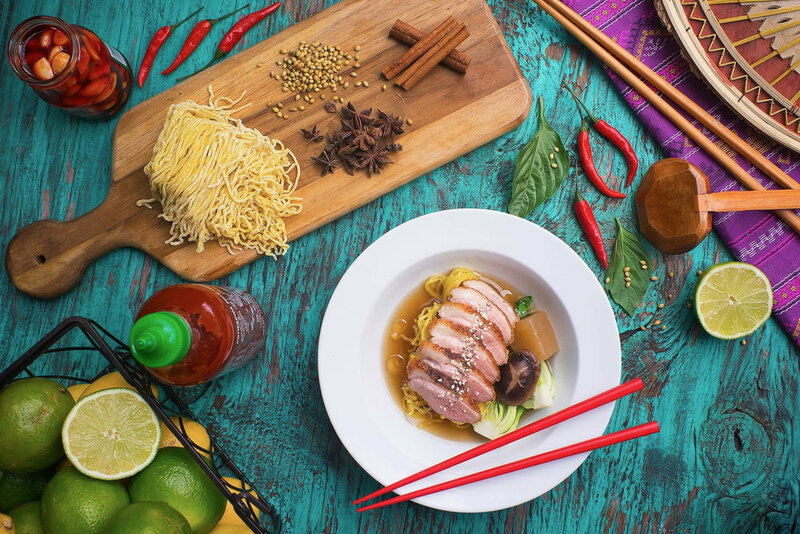 Off the border-busting menu, choose from dishes like roasted octopus with edamame and chipotle bernaise; baked cod with sushi-rice mushroom risotto; and seared duck ramen with poached daikon and shiitake mushrooms.. While you may be use to eating baos as a late night snack, this tiny kitchen next to Ramen Yebisu offers up a selection of steamed buns for brunch service. Combinations like the sober bao (eggs benedict with slow cooked pork and spinach) supplement a selection of sandwiches that round out the menu. Beer, wine, and cocktails are also available for purchase at this cash-only, no-reservations walk-in. Looking good on paper is easy; delivering the goods is a different story. Suchanan Aksornnan’s multicultural gem, Baoburg, masters the latter. Aksornnan (a.k.a. Bao Bao) has deep culinary roots: She spent time cooking with her grandma in Thailand and later in NYC with her mom (adorable fact: Mama Bao Bao, also a chef, works at the restaurant two doors away from Baoburg), earned a degree from NYC’s French Culinary Institute, rubbed elbows with Jean-Georges Vongerichten and Daniel Boulud, and soaked up inspiration from her Japanese stepfather..
A member of baoburg friendly staff will contact you shortly! © 2017 BAOBURG All Rights Reserved.